Most horse vaccines must be administered annually. Veterinarians recognize four vaccines vital for equine health: Rabies, Tetanus, West Nile virus and Eastern/Western Equine Encephalomyelitis. These are considered core vaccines because their associated diseases pose serious threats to both horses and humans, and the majority of the equine population is considered at risk. Aside from these four essentials, there are 10 other vaccines your horse can receive based on its needs. Rabies is rare in horses, but its public health implications make vaccination necessary. The disease is most commonly spread through animal bites – usually wildlife like raccoons, bats and foxes. Once bitten, the virus quickly travels to the brain, leading to fatal encephalitis. Adults: Horses should be revaccinated annually. If you purchase a horse that does not have a history of rabies vaccination, schedule an appointment with your vet as soon as possible. Foals: If the mare was vaccinated, treat the foal at no earlier than 6 months old. Follow with a second dose in four to six weeks. If the mare wasn't vaccinated, treat the foal between 3 and 4 months. Pregnant mares: Vaccinating a mare prior to breeding is sufficient enough to ensure the foal receives antibodies. Otherwise, vaccinate four to six weeks before foaling. Vaccinated horses that have encountered animals with rabies must be revaccinated as soon as possible. Additionally, the horse must be placed under observation for 45 days so any signs of rabies development can be spotted quickly. If the horse has not been vaccinated or is past due for a dose, you must contact your local public health officials. "Researchers have not concluded how long the Tetanus vaccine lasts." Tetanus is caused by Clostridium tetani bacteria, which are found in soil, feces and the intestinal tracts of horses and other animals. This organism enters the body through open wounds and exposed tissue. Horses should be vaccinated against tetanus annually, despite the fact that humans only need the vaccine every decade. The reason, veterinarian Paul Lunn told TheHorse.com, is researchers have not concluded how long the vaccine lasts. Lunn was part of the 2008 AAEP committee that updated equine vaccination guidelines. Adults: Horses should receive the tetanus vaccine every year. If the animal suffers a wound or surgery six or more months after receiving its last dose, it should be revaccinated immediately. Unvaccinated adults should begin with a two-dose series four to six weeks apart, then follow with annual shots thereafter. Foals: All foals should start with a three-dose vaccination process. Offspring of unvaccinated mares should receive their first shot between 3 and 4 months old. Wait four to six weeks before administering the second dose, then supply the third between 10 and 12 months of age. If the mare was vaccinated, the first dose can wait until the foal is 4 to 6 months old. Pregnant mares: Vaccinate four to six weeks before foaling. If the mare wasn't vaccinated previously, start with the two-dose series recommended for all adults, then administer a single vaccine before foaling. Vaccination for West Nile, EEE and WEE should be completed before mosquito season. According to the American association of Equine Practitioners, horses make up nearly 97 percent of all non-human cases of West Nile virus infections. The disease is transmitted through mosquitoes and has been identified in the U.S., Canada, Mexico and several Central and South American countries. "Forty percent of horses that survive West Nile still show symptoms." Thirty-three percent of horses infected with the virus die as a result. Meanwhile, 40 percent of those that survive still suffer for at least six months after diagnosis. The virus affects the central nervous system, and symptoms include wandering, walking in circles, depression, difficulty swallowing, loss of appetite and weakness or paralysis of the hind legs. Adults: Annual vaccinations should be given in the spring before mosquitos become active. Horses at greater risk for West Nile, including those less than 5 years or older than 15, may need more frequent treatment. Horses that have not been vaccinated should receive an initial two-dose series administered anywhere from three to six weeks apart, depending on the manufacturer's recommendations. Foals: Equines born from unvaccinated mares need a primary series of three doses. Administer the first between 3 and 4 months old, and time the rest to finish the set before the spring if possible. Ideally, wait one month between the first and second doses and two months between the second and third. If the mare was vaccinated, a three-dose treatment for the foal can wait until the equine reaches 4 to 6 months. The second should be given a month after, and the third by the time the foal reaches 10 to 12 months of age. Pregnant mares: Vaccinated mares should receive a dose four to six weeks before foaling, while those not vaccinated should start a typical adult two-dose series as soon as possible. Like West Nile, EEE and WEE are transmitted via mosquitoes and other bloodsucking insects. Symptoms include fever, restlessness, sensitivity to sounds and periods of excitement. The condition also causes brain lesions, which lead to drowsiness, wandering, circling, head pressing, gait issues and, eventually, paralysis. Adults: Revaccinate annually before mosquito season. 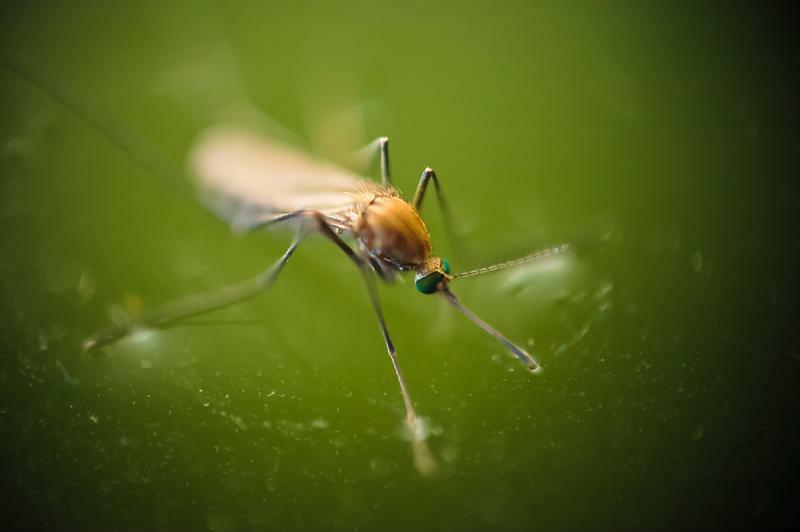 If you live in a warm climate with mosquitos year-round, your vet may give the option of revaccinating every four to six months. Foals: If the mare was vaccinated during the prepartum period, give the foal a three-dose primary series starting at 4 to 6 months. Follow with the second dose four to six weeks later and the third at 10 to 12 months old. Offspring of unvaccinated mares should also begin a 3-dose primary series. Wait four weeks after the first dose before administering the second, then wait another eight weeks before supplying the third. Pregnant mares: Treat vaccinated mares four to six weeks before foaling. Unvaccinated mares need a 2-dose initial series with a month between treatments. Follow with a third dose either at the start of mosquito season or four to six weeks before foaling, whichever is first. Risk factors for these diseases vary depending on where you live, where you travel for competition and your equine's individual health. "Your vaccination program will be more effective if you do a critical analysis of how you use your horse, how your horse travels, how your horse is managed, and the environment in which the horse lives," veterinarian Mary Scollay told TheHorse.com. "The owner of the horse has to be a partner with the veterinarian to determine what the best vaccinations are specific to the horse's needs."